(Mineola, NY) Nassau County Clerk Maureen O’Connell’s “Nassau County Land Records Online Training Seminar” visited Levittown Public Library on Tuesday, March 21st to educate local residents about the Nassau County Land Records Online Database. 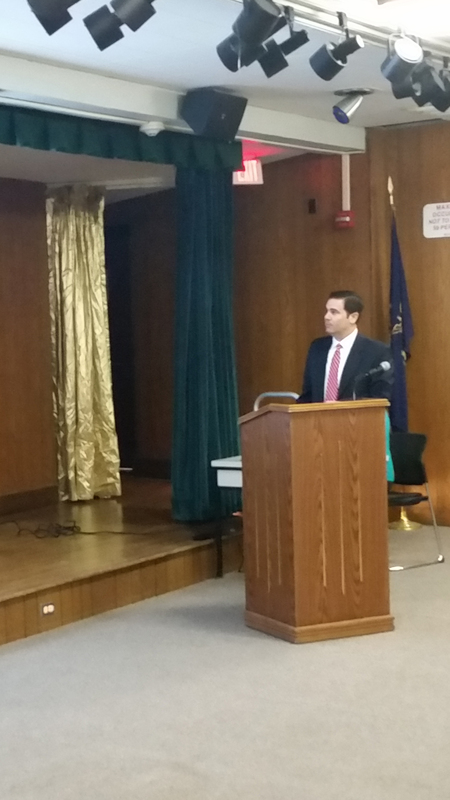 Chief Deputy County Clerk John Ferretti Jr. walked residents through the various ways to navigate the website, which allows users to search and view land records free of charge from their home, office, or mobile device, and concluded the seminar with a Q&A session. The option to purchase, save, and print records is also available through www.uslandrecords.com. Pictured: Chief Deputy Nassau County Clerk John Ferretti Jr.